Holy moly, Mario and Luigi: Superstar Saga is 14 years old. It’s still one of the funniest video games I have ever played, and it came during a time when games with good humour were few and far between. 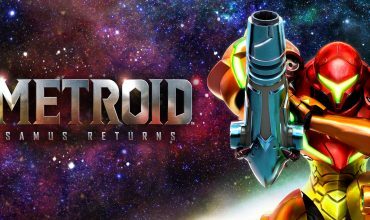 What was great about it was its accessibility; featuring relatively simple RPG mechanics, alongside gameplay innovations such as dodging attacks in real-time is what made the game distinct from others in the genre. This remake has added the subtitle Bowser’s Minions to refer to the separate story campaign in the game, called “Minion Quest: The Search for Bowser”. This mode has seemingly replaced the remake of the arcade game Mario Bros (not to be confused with Super Mario Bros), and the cynic in me believes this has everything to do with that game being released for the Switch as part of the Arcade Archives, but I digress. Despite how cute the cast of characters is, the jerks. Superstar Saga’s story sees the evil witch Cackletta steal Princess Peach’s voice and replace it with explosive speech (literally!). Bowser, who was in his way to the castle to kidnap the Princess, travels with Mario and Luigi to the Beanbean Kingdom to recover her voice, so he can not have his own castle destroyed the next time he runs off with her. Bowser ends up separated from the brothers, who explore the Beanbean Kingdom and meet new allies and enemies. Unlocked early on during the main quest, the side story “Minion Quest” follows Captain Goomba and other infamous baddies from the world of Mario as they recruit and battle other minions that have been brainwashed by Fawful during their search for the Koopa King. Many games merely have funny one-liners, but Superstar Saga is loaded witty dialogue that pokes fun at the Mario series at large, as well as situational comedy. Bowser is hilarious outside his traditional antagonistic role, and there are many memorable characters in the game, such as Popple, Prince Peasley and one of the most quotable villains in Nintendo history, Cackletta’s sidekick Fawful. The heart of the gameplay, in both the overworld and in battles, is that Mario is assigned to the A button and Luigi is assigned to B. The overworld gameplay sees Mario and Luigi talk to NPCs, and to use their jumping, hammer and fire/thunder abilities to traverse to new areas and solve puzzles with the correct presses of A and B. Bros. 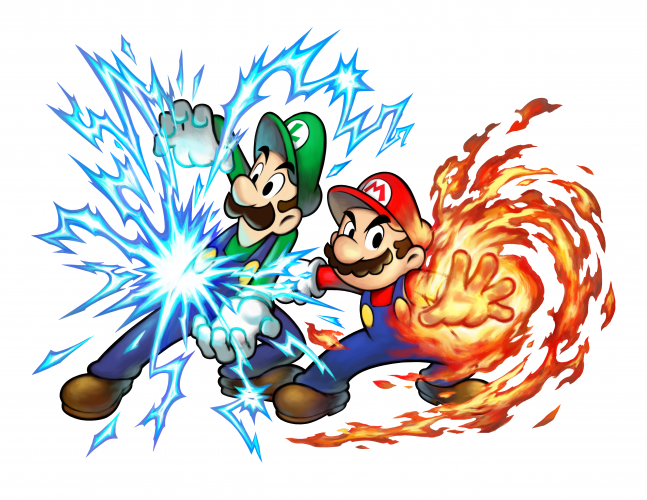 Abilities combine Mario and Luigi’s powers and equipment to add more depth to the puzzles. Some puzzles are tricky, like the ones where bullets must not meet face. In battles, the player uses well-timed button presses to cause more damage to enemies as well as dodge and counter. The enemy often creates an indicator when they attack, which if spotted by the player, can allow them to predict which brother is going to be attacked. I always liked these elements of the Mario and Luigi series, because, even if the battle system is turn based, players have complete control over whether they are going to dish out the most damage possible or take no damage from the enemy through well-timed button presses, a skill that players develop throughout the game. Boss encounters often take these to new levels, with both brothers having to dodge or counter-attack multiple times in a single turn, which makes them feel like quick time events, as do the super moves that the brothers can launch on the enemies. 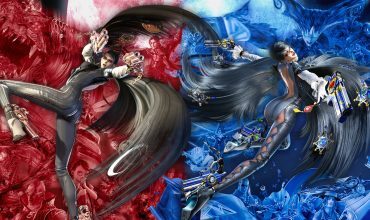 These moves are called Bros Attacks, and are special moves requiring BP (Bros Points) and correct timing of button presses. The full stop makes it sound like an instruction. The main game is paced very well, taking me about 20hours. It’s not as long as many other RPGs, but it didn’t need to be and the gameplay elements and plot did not overstay their welcome. As great as Superstar Saga was, it had a few problems which this remake has fixed. The GBA version never gave players an opportunity to completely heal without defeating a boss or the use of items. Now there are blocks scattered throughout the game which will completely heal the pair. The Bros Attacks have been refined to not be so overpowered, but also are explained to the player better. During any battle, the Bros Attacks can be practised as much as the player wants. The game difficulty has been adjusted; while I found most of the game to be easy, the last two areas featured very challenging boss fights. The bosses in general stay alive longer in this version, whereas the original saw these encounters end so quickly. The X button can be used to make both brothers jump at the same time in the overworld, which is such a small thing but makes jumping around much less frustrating when you don’t have to keep pressing A and B one after the other. The touch screen acts as the convenient screen where the world map can be looked at and different abilities can be toggled through. Abilities like the ol’ Kamehameha. The graphics have been updated, and obviously look better, especially the backgrounds. The character’s expressions are not as cartoony and exaggerated as they were in the original, and lost a bit of their charm. It reminded of the Pokemon designs from 2003 onwards which became not as simple or memorable as a result of more detailed graphics. The music has also been modernised, also with mixed results. You can unlock both the original and new versions of the music themes in the sound test, and I actually liked many of the original themes better. However, none of the visual and audio changes will be an issue to new players of Superstar Saga. Something that will grate on the ears of all players is the same battle themes playing over and over, looping and looping around and around. A couple of new songs would have gone a long way. Newer songs would have really improved the Toad rave party section. I would describe “Minion’s Quest” as The Lion King 3 (aka The Lion King 1 ½) of Superstar Saga. Lion King 3 saw Timon and Pumba’s parallel adventures during the first Lion King and Minion’s Quest see’s Captain Goomba’s journey to rescue Bowser while the Mario Bros are trying to defeat Cackletta. All of Bowser’s minions have been brainwashed by Fawful, so Captain Goomba has to recruit them to eventually rescue Bowser. It plays like a strategy game, or a tactical RPG. The battles are fought with enemies in three classes, which the player can choose before battle. The three classes are organised in a well-known Rock-Paper-Scissors fashion, or a triangle. The strategy comes with selecting the best combo of classes against the enemy. Most battles are three or four rounds, barely a few minutes each, during which the player mostly spends watching the minions fight, with only a little interaction to work things in the minions’ favour. Overtime, more minions are recruited, the units level up and stat increases can be given. Hot tips for your next job interview. This mode is enjoyable in short sessions, and I did get a kick out of the humorous story cutscenes. Playing it for long periods of time can be frustrating, especially when you’re watching your minions lose due to luck more than skill. That’s the biggest issue with Minion’s Quest, just like Miitopia, there’s too much watching, not enough actual playing. Besides inputting an occasional command there’s very little interactivity once the battle begins. If you end up disliking “Minion’s Quest”, thankfully it is is completely optional – I finished the main game before I put any real time into Minion’s Quest. It will give players an additional 8-12 hours of gameplay. It wouldn’t surprise me if Nintendo released this as a free-to-play game with microtransactions. Mario and Luigi: Superstar Saga + Bowser’s Minions isn’t a perfect remake, but it’s the definitive version of this game. “Minion Quest” could have been better, but I still enjoyed it as a different side story to the original, and the gameplay was okay in short bursts, if a tad underwhelming. The main adventure is far more beginner friendly this time round, the writing is still as funny as I remember and the pacing feels spot on. Most importantly, the key element of using A to control Mario and B for Luigi is very simple but deep mechanic that continued into the sequels. If you’ve never played a Mario and Luigi game before, this is the best place to start. Mario fans, RPG fans, Nintendo fans, should all give Superstar Saga a try, with this version the best way to do so. They may or may not enjoy the optional Minion’s Quest, but the main adventure is too good to miss. Follow Stefan on Twitter @Stefanbradley3 and don’t forget to follow @load_screen and like us on Facebook.